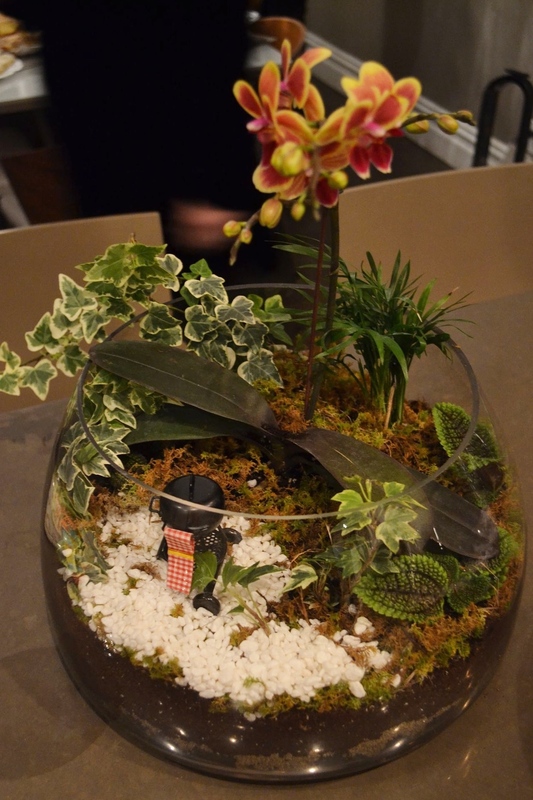 What better way to kick the winter blues away...than building a gorgeous, vibrant and plant filled terrarium!?! 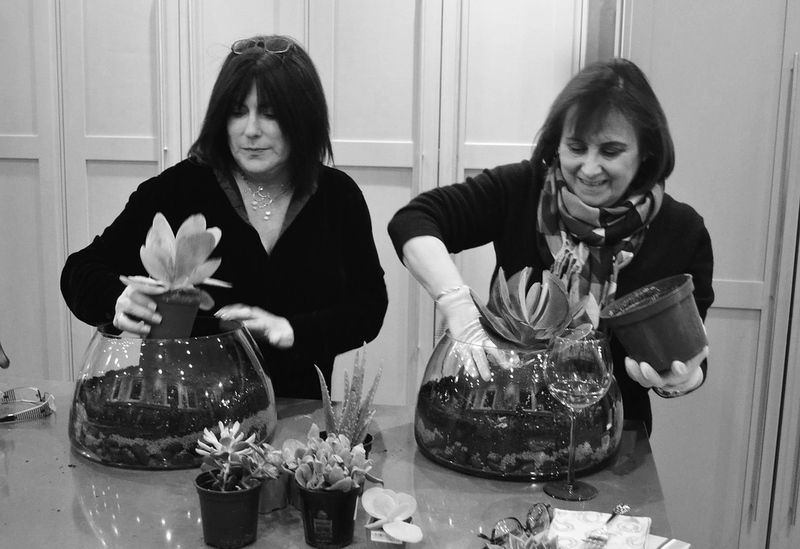 Deena hosted a birthday celebration for a lucky friend in her Westchester home, and we had a blast teaching the fun ladies the ins-and-outs of terrarium building. 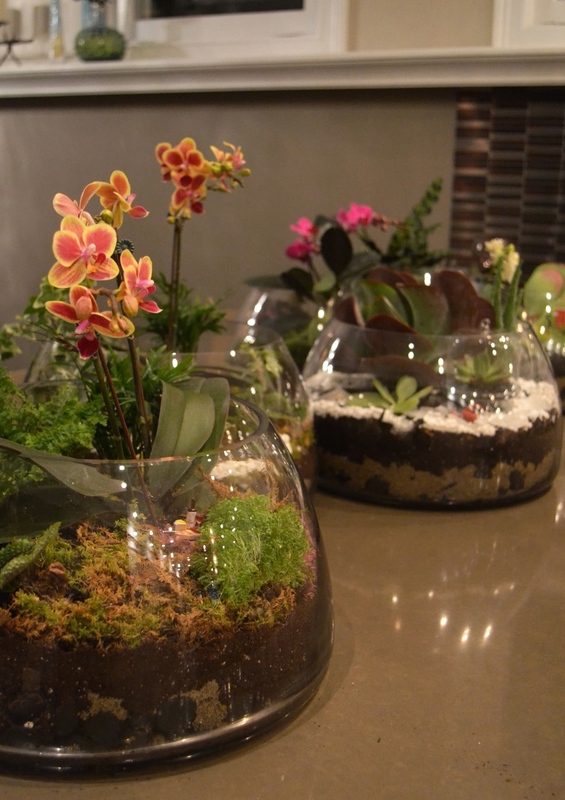 Did you know that terrariums gained great popularity during the Victorian era of scientific research and exploration? Scientists used them as a way to transport and study plants, insects and other critters. 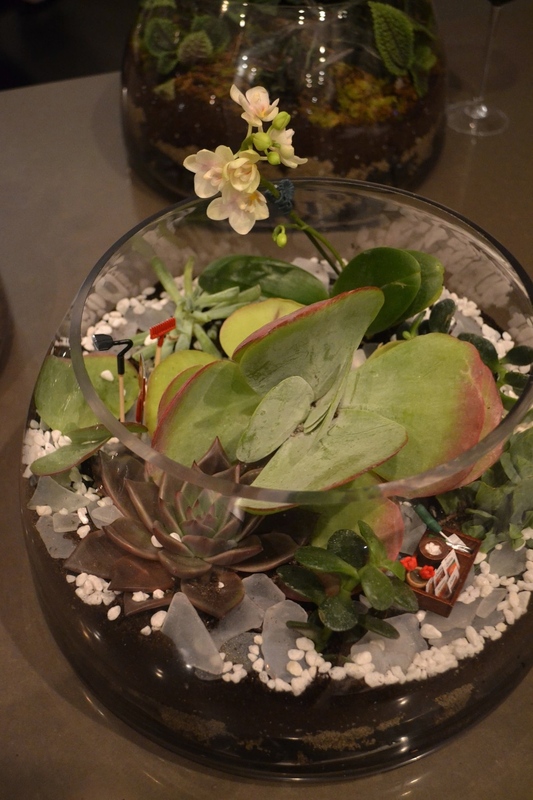 Terrariums can be almost any size and assembled using a slew of different container types and sizes. We used a tapered open-top container that works well for both wet-plants and dry-succulent environments. For Deena's party, each guest got a chance to choose from a variety of plants, orchids, colored stones and little accent figurines. Each terrarium turned out differently, showing the personality and style of the creators, and will hopefully bring months of enjoyment. When making your own, be sure to pay attention to the water and light requirements of the plants that are going inside. The terrarium building party was a blast! What a fun way to celebrate a birthday!